Apple has reportedly secured permission from officials within the city of Madrid and is to occupy a landmark building in the center of the city on the Puerta del Sol to open a new Apple Store, which could also serve as a hub for the company’s operations in the area. 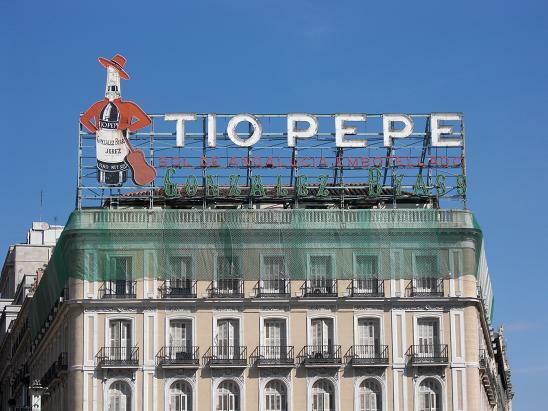 Spanish newspaper El Pais reports Madrid’s mayor has announced that Apple will occupy all seven floors of the famous building, which is known for its large neon sign showcasing Tio Pepe sherry, a space of 6,000 square metres. The Cupertino-based company had previously been involved in negotiations to take over the building but only occupy the first two floors. New developments have suggested Apple will now take full control of the building but it is unlikely to convert each of the floors into retail space. Macrumors suggests the company will convert some of the upper floors into office space to support the company’s operations in the area. The building is currently undergoing restoration work (it was built in 1863) which is likely to be completed by November this year, although it could be some time until Apple opens its still unannounced store.